Here's free advice for Mitt Romney. Before bringing up the poor again, read my book, "Uncle Sam's Plantation." Romney has been taking a drubbing about his remarks in a CNN interview that he is "not worried about the very poor ... we have a safety net there ... If it needs a repair, I will fix it." And then going on to say it is "middle-income Americans ... that are really struggling" that are his concern. What the Republican presidential front-runner missed in his off-the-cuff economic analysis of American class is that the cause driving the struggle among both low- and middle-income Americans is the same -- economic stagnation and social breakdown caused by welfare-state socialism. As I explain in "Uncle Sam's Plantation," America's inner cities offer laboratory results that can be extrapolated to what is wrong today with the whole country. If you want to know why America is failing, look at why our inner cities are failing. Romney is incorrect to label as a safety net welfare-state programs such as temporary assistance for needy families, basic skills training, Section 8 housing and food stamps. A safety net is what is provided when a free person, acting on his or her own initiative, falls and we offer assistance to help him or her get back up and start again. The welfare state amounts to a wholesale takeover of individual lives. As opposed to government stepping in to soften the blow, the welfare state assumes from the start that individuals won't make it without government managing their lives. It is not an accident that despite some $10 trillion spent on anti-poverty programs since the 1960s there is little discernable change in our poverty rate. The problem was made worse because the broken families and broken spirits resulting from government-plantation dependence have institutionalized inner-city poverty. If America is going to get back on track, we must appreciate that we are doing to our whole country what we did to America's poor. Seventy percent of government spending today consists of transfer payments -- government redistributing funds from one set of individuals to another. Even before the Obamacare government takeover, government already dominated our health-care market. In 1960, about half of health-care expenditures were made by individuals. Today, only about 10 percent of health-care expenditures are made by individuals. Despite the central role that government-sponsored enterprises -- Fannie Mae and Freddie Mac -- played in the recent housing collapse, their role in today's housing market is even greater. In 2011, 95 percent of all new mortgages were bought or guaranteed by Fannie Mae, Freddie Mac or the Federal Housing Administration. And, of course, just about every working American is part of Social Security and Medicare, both of which are now fiscally untenable. Now layer onto all this Obamacare $1 trillion in spending on stimulus programs and bailouts of banks and auto companies. Then add $5 trillion in new debt over the past four years as a down payment on it all. The bigger role government plays in our lives, the more America resembles the U.S. Postal Service rather than FedEx. And the bigger role government plays, the harder it is to fix the problem because individuals become used to these programs and fear fundamental change. 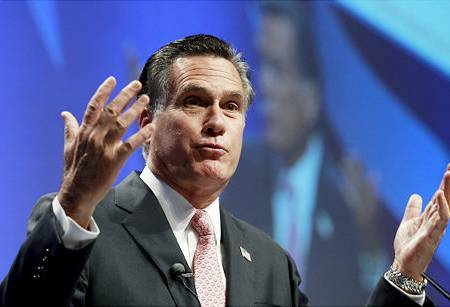 Romney touts his business experience as his qualification for the presidency. That business experience amounted to turning companies around and improving their performance by making more efficient use of their assets. This is exactly what our country needs today -- a reallocation of our assets from government to private-sector efficiency. Getting off Uncle Sam's Plantation is no longer a problem limited to our poor. It is a problem and challenge for the whole country.